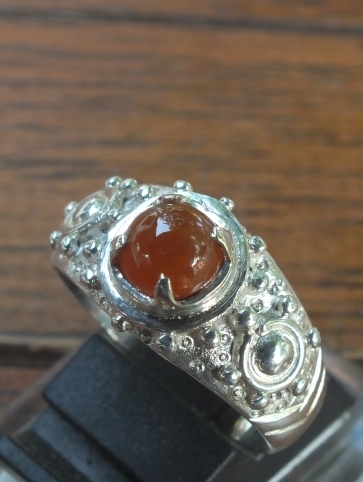 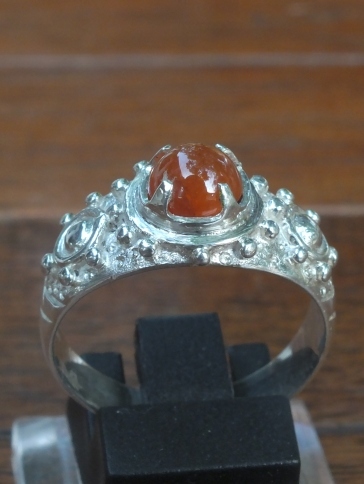 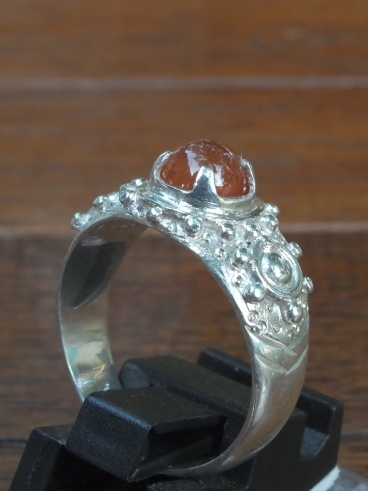 This is a beautiful natural Orange Garnet. The gems is quite small (est) 6mm x 6mm x 3mm. 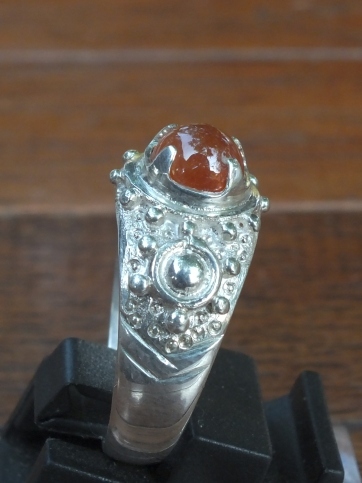 It is already set on 18mm nice decorated silver ring. 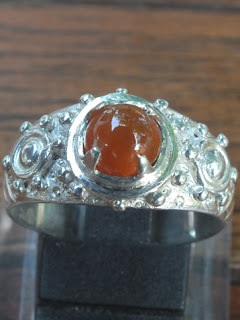 A rare orange color of Garnet! Natural Orange Garnet!